David T. Bourgeois wrote:This book is written as an introductory text, meant for those with little or no experience with computers or information systems. While sometimes the descriptions can get a little bit technical, every effort has been made to convey the information essential to understanding a topic while not getting bogged down in detailed terminology or esoteric discussions. Part 1: What is an information system? This section covers the technical components, such as hardware, software, networks, and security. Part 2: Information systems for strategic advantage. 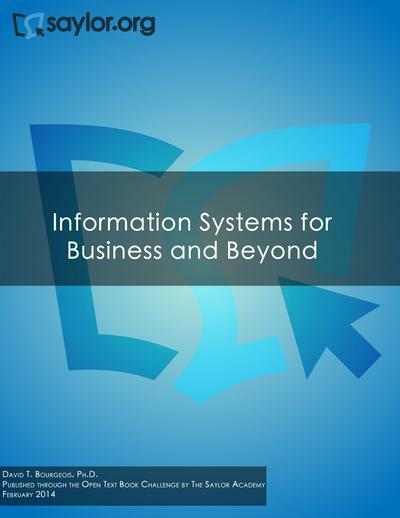 This section of the book relates how information systems are used in organizations and how they can be deployed to improve business. Part 3: Information systems beyond the organization. Here you will find details on how information systems have affected our society on a larger scale. Topics covered include globalization, intellectual privacy, and future trends. 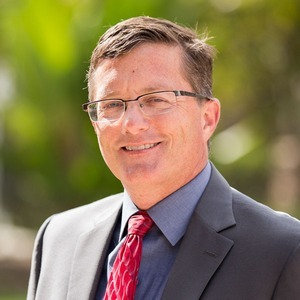 Dr. David T. Bourgeois worked as an information technology professional for 15 years for companies such as Southern California Edison and Texas Instruments before coming to Biola in 2002 to lead the information systems program. Bourgeois currently serves as the undergraduate department chair and as the director of innovation with a focus on ensuring that all undergraduates are fully skilled in the digital technologies they need in their business careers.